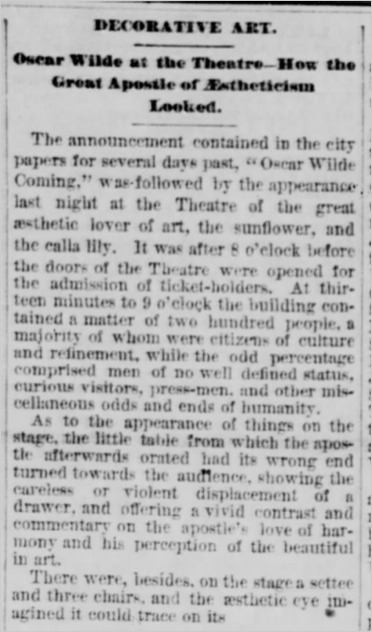 * The end of Wilde's lecture tour of the South. After Richmond, Wilde took time off from regular lecturing, and traveled to Newport, RI (via New York) to be guest of Julia Ward Howe. 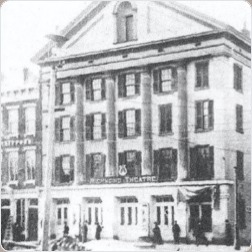 * The second theatre of this name in Richmond. The first was destroyed by a fire that killed 72 people and was the worst urban disaster in American history at the time. The Monumental Church was erected on the site as a memorial. 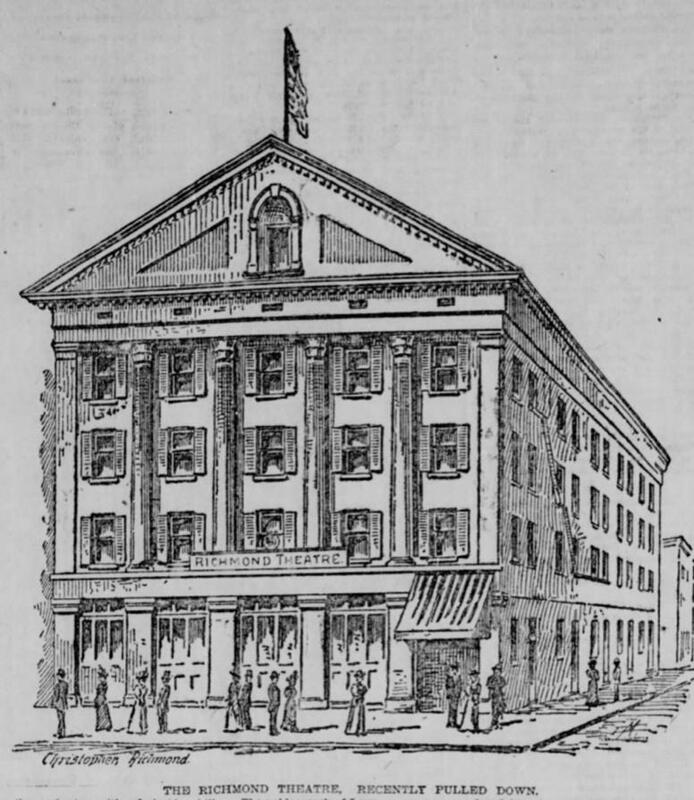 It was replaced as a theatre by the Marshall Theatre on the corner of Seventh and Broad Streets which was itself destroyed by fire on January 2, 1862. 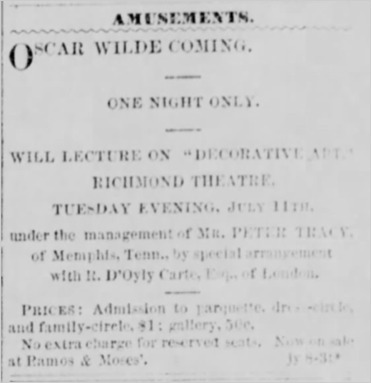 This was replaced on the same site by the (new) Richmond Theatre where Wilde lectured. 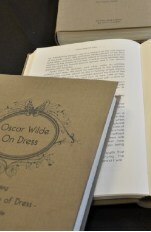 No record of Wilde's accommodation in Richmond, where he stayed overnight before traveling north the next day.